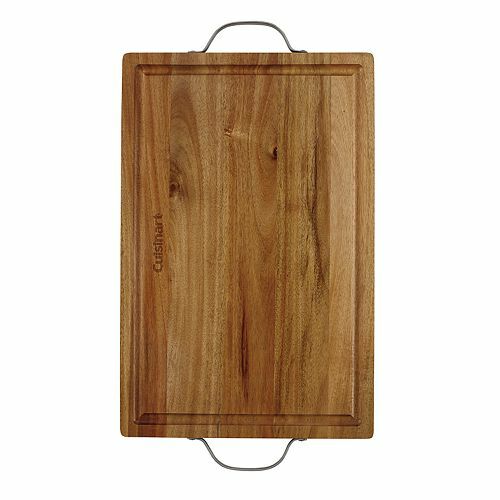 The Cuisinart CCB-2HCB is a classic, naturally beautiful acacia wood cutting board. Its handles are of stainless steel for easy carrying. Expertly crafted to protect countertops and knife edges. The Cuisinart 2-Handle Acacia Carving Board/Serving Board has many exciting features for users of all types. 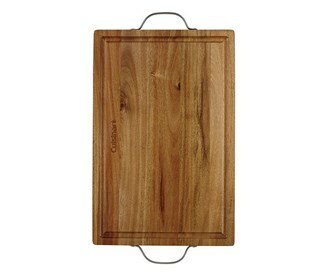 The Cuisinart 2-Handle Acacia Carving Board/Serving Board is sold as a Brand New Unopened Item.